May 27, 2014 By Elizabeth Lindemann 19 Comments / This post may contain affiliate links. 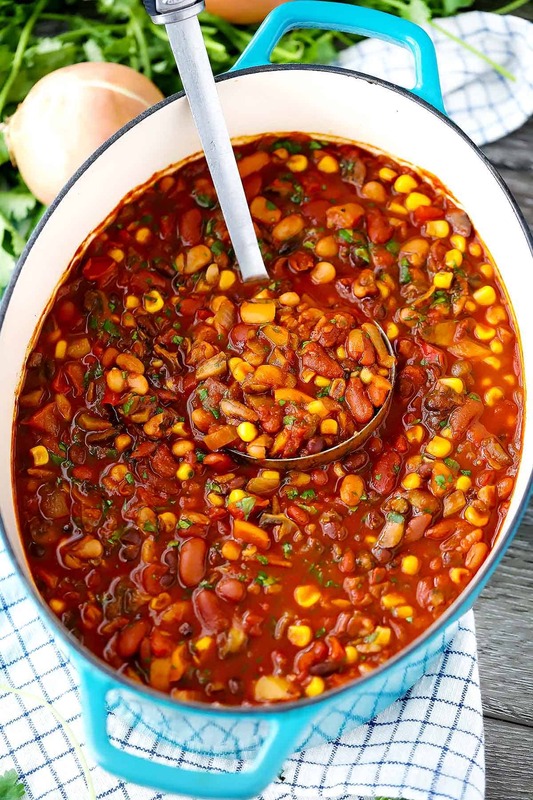 Not only is this smoky vegetarian chili vegetarian… it’s vegan! And when you taste it, you will be like WHOA. This chili is VEGAN? Shut the front door. Which is exactly the reaction Zach and I had to it. This has to be one of the most hearty and delicious vegan meals I have ever had. EVER. Filled with mushrooms and beans, this chili is filling and nutrient-packed. It’s inexpensive to make, and this recipe makes a TON so you can freeze leftovers for another meal or two or three or four. Plus, it passed the test of approval from my Texan husband, who usually has a strong aversion to beans in chili. But what really makes this chili really stand on its own is the secret spice combination: it’s smoky from smoked paprika, smooth and velvety from cocoa powder(!!!) and cinnamon, and spicy from chili powder and cayenne. It’s a mind-blowing combination unlike anything I have ever tried in chili before, adapted from a post on The Picky Eater. I added cinnamon as homage to my Greek roots (the Greeks really like cinnamon with their meals, like in manestra) and some cayenne pepper for an extra kick. Guys, I’m just going to go ahead and say it: this chili does not need fixings. No sour cream, cheese, or anything on top. I know this may sound like blasphemy, and sure, you can add them if you want… but we had it last night with nothing but a little extra hot sauce, and it was phenomenal. By the way, I am not vegan, even though I would eat this chili over meat chili almost any day. My food philosophy is similar to that of Michael Pollan’s philosophy in In Defense of Food: eat food, not too much, mostly plants (a really awesome summer read- you’ll devour it. HAH!). I don’t limit myself to any specific food lifestyle or diet- I’ve dabbled in vegetarianism, eating paleo, low carb, etc., and have found that, for me, they are too limiting and restricting to adhere to 100% of the time. I’d drive myself crazy! It’s just not for me. Instead, I make sure the ingredients I buy are real, clean, and unprocessed… 90% of the time. And what better way to eat “mostly plants” than to eat vegan every once in a while? 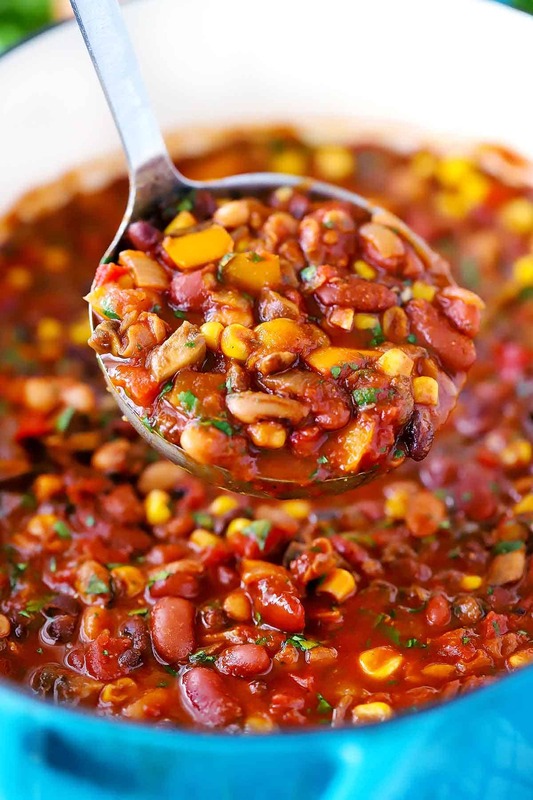 Here’s the recipe for Smoky Vegetarian/Vegan Chili! 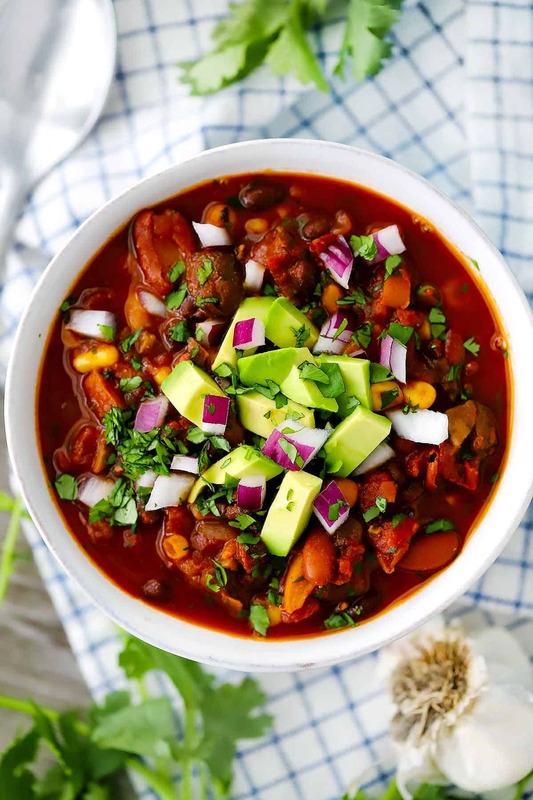 Filled with mushrooms and beans, this vegan chili is delicious, filling, and nutrient-packed. 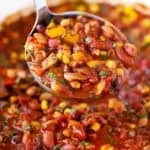 But what really makes this chili really stand on its own is the secret spice combination that makes it smoky, velvety, and spicy. 6 cups cooked black kidney, and/or pinto beans, washed and drained (4 small cans. I used equal parts kidney and black beans). Add mushrooms; saute until softened. Freeze in an airtight container for up to 6 months. When ready to eat, run hot water on the outside of the container, pop out into a large pot, cover, and heat over medium heat, stirring occasionally until heated through. By far the best vegetable chilli I’ve ever tasted. My whole family loved it! I used butternut squash instead of mushrooms (only because I didn’t have any ) and it worked really well too. I made it according to the quantities in recipe and it lasted a few meals. I didn’t get bored of it! Thanks Elizabeth for this wonderful recipe that I’ll be making again and again! Made recipe cut in half added canned fire roasted tomatoes and smoked Celtic sea salt. It was a winner! Yum love those additions! Thanks for the suggestion and glad you liked it ???? Thanks for this recipe, gonna try it out now. Just for clarification though- veganism is neither a diet or a trend. Being vegan means omitting animal use (and therefore exploitation) from your life, wherever possible. As such, you end up eating a plant-based diet. Sure, some people “go vegan” for trendy or faddy reasons, but that doesn’t affect the core of what being ‘vegan’ is for the rest of us! Thanks again for publishing this recipe and for- indirectly or otherwise- helping people to live more compassionately. Thanks for the reply Elizabeth! 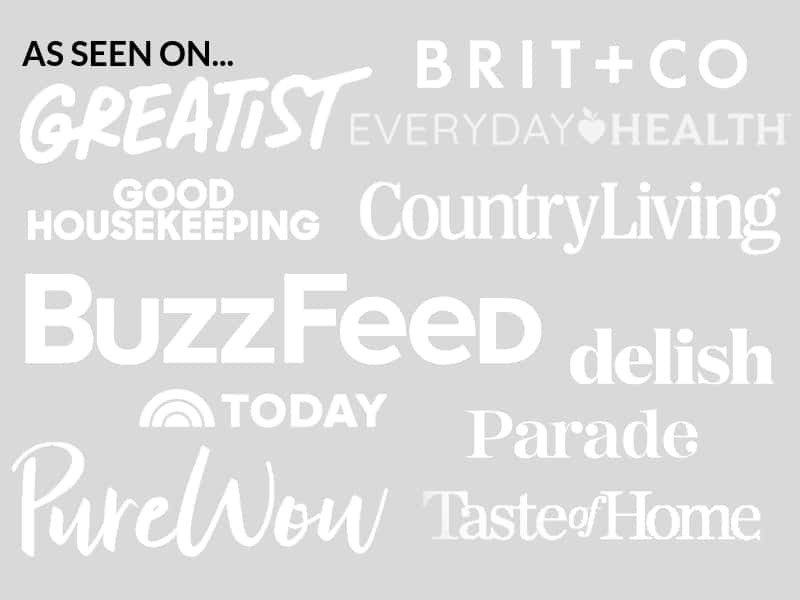 I may be worth an edit, just in case others interpret things differently to how you intended- you might find you’re getting lots of vegan traffic; I googled “vegan smokey bean chilli” and you were top or 2nd hit. Kudos to you! My wife and I are opening a cafe in the new year & wanted a smokey bean chilli topping for our loaded nachos, hence the search. Will be sure to give you credit on our menu/website somewhere! Thanks again for publishing the recipe. Best of luck with all your future endeavours. Kudos to you as well- good luck with the cafe opening, and I’m happy you will be able to use the recipe! Yum… smoky loaded nachos… I may have to try that myself soon! Thank you so much! I think I’ll use the 2nd option. And I will be sure to let you know how it comes out. Instead of beans, I’d like to use lentils and make the crock pot version. I assume I’d use dry lentils. Any tips/suggestions? Yum- I bet that will be great! There are two options here. First of all, make sure you use brown/green lentils, as red will fall apart and become mushy. I’d use about 1/2 lb dried lentils. Option 1: soak the lentils, drain and rinse, then cook them beforehand (in the slow cooker or on the stove top) in water, then drain and rinse and add to the chili like you would the beans. Option 2: soak the lentils, drain and rinse, and add directly to the slow cooker in the beginning of cooking with about 3 extra cups of stock. Hope that helps! I’d love to know how it comes out- I think the smoky flavors will go really well with the lentils! I’m about to make this soon, is there really no tomato sauce component? Seems crazy but I don’t see it. That’s right… I don’t use tomato in it! But I’m sure it would be delicious with it. In fact, now that you say that, I think next time I make it I’ll add some tomato paste, which would help thicken it up as well! This recipe really is very versatile, so you should totally add some tomato sauce, tomato paste, or diced tomatoes if you want to :-) Let me know how it comes out! Elizabeth…I do not like mushrooms…what could I substitute for them? You can probably just omit them and use a little less vegetable broth! Or, try sweet potatoes or butternut squash. Just allow to cook for a little longer and add more liquid so they are able to soften!